Because Dell is one of those companies that is unusually picky when choosing distributors, I purchased the Dell X50v from their web site. 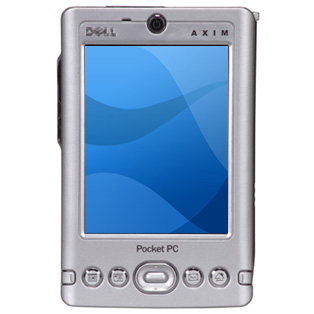 Note that there are two other models in the X50 series, the X50 412 MHz and the X50 512 Mhz, which are considerably cheaper but lack a VGA screen and other advanced capabilities. 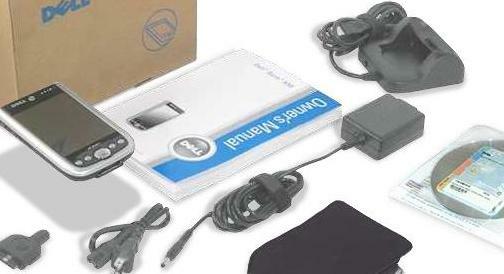 The price for the X50v, $424, included accessories like a cradle, a generic case, and a software bundle with two free games. After slipping the X50v out of its plastic covering, the first thing I noticed was its new, sleeker body. 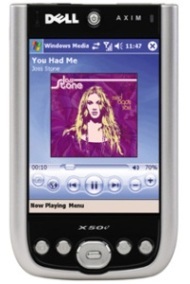 Whereas the X30 resembled a rectangle, the X50 series handhelds sport a sleeker, more rounded design. Also, the glitzy white finish of the X30 has been replaced with a more professional looking black gloss color. The picture below shows a side-by-side comparison of the two. But it is only after powering up the X50v did I realize its biggest improvement from the X30. The brilliant VGA screen easily surpasses the �QVGA� screen of the X30. 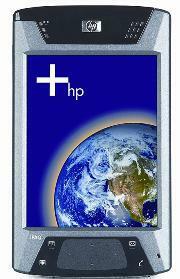 The 16-bit 3.5� screen that the X30 utilizes pales in comparison to the 3.7� 480x640 pixel transflective display the X50v boasts. 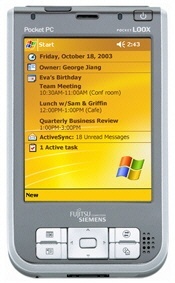 Only three other PDAs released within two months of the X50v carry the new VGA displays: The HP iPAQ hx4705 ($600 street), the Fujitsu-Siemens Pocket LOOX 720 ($610 via Expansys), and the Asus MyPal A730 ($489 street). (Note: all prices are relative to time of review) Below is a side-by-side comparison of the Dell X50v to these three similar VGA-toting handhelds. In comparison, the Dell X50v is the most inexpensive of the bunch, at $424 retail. However, it does lack some features of its competitors, including SMS capabilities of the hx4700, and the integrated 1.3 megapixel cameras of the LOOX 720 and the A730. 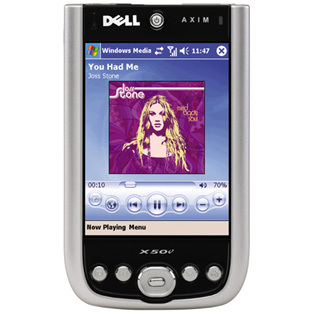 But at $100 less than its nearest competitor, the X50v provides arguably the best value of them all. 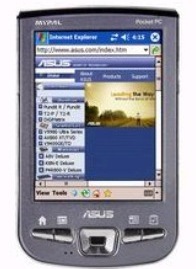 And if you must have a low-res, half-baked camera on your PDA, third party ones are available from $50.